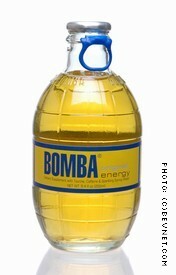 Using the "traditional energy drink flavor", Bomba Original is actually pretty decent. Most likely, that's a direct result of using glass, as the tinny aftertaste that is found in many energy drinks isn't present. The gold color works well with the label and glass packaging, which looks the least weapon-like out of any of the flavors in the brand. 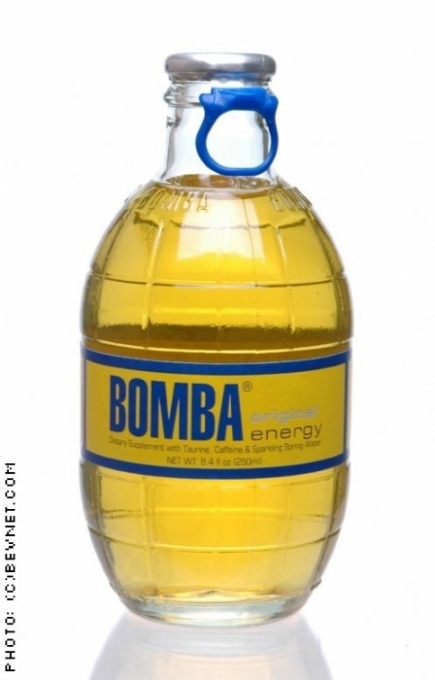 Still, this product seems more gimmicky than anything -- we really can't picture people lining up to buy cases of a grenade-shaped but otherwise humdrum energy drink for regular consumption.